In this and the reviews of other chapters in Retrosuburbia that will follow, I comment on the book is a supportive way while discussing ideas I see needing further exploration. This review is of Chapter 28, Financial planning and security. IF THERE IS ONE THING that David does in Retrosuburbia that is ignored by too many in permaculture, it is to seriously look at economics. In Chapter 28 he discusses financial security and personal finances and delves a little into community solutions. “…is aimed at a small subset of Australians who already are actively seeking a downshifting path and generally have enough psychological reserves and comfort not to be struggling day-by-day”. To that we should include financial reserves. The economics of everyday life, making financial ends meet so as to sustain a minimum quality of life, is something permaculture, as a social movement, has avoided dealing with. That is why it is good that David does so in this chapter of Retrosuburbia. Before looking at the ideas in this chapter of David’s book it might be useful to consider how permaculture relates to the political economy of the society we inhabit because that is linked to what he writes. Is permaculture avoiding what is a pressing everyday issue for many because permaculture is populated mostly by people who are not struggling financially? I’m not suggesting all in permaculture are wealthy. Many are not and some exist on minumum incomes. This leads us to to comment we hear from time to time that permaculture is dominated by financially comfortable middle class people. Without a demographic survey there is no way to say whether that is true; all we have to go on is observation, and that will vary depending on where we do the observing. Irrespective of the wealth distribution among permaculture participants, the question now is how do we make permaculture relevant in the era of financial insecurity that is opening up for an increasing number on account of the casualisation of working life, the growth of part-time and short-term contract work and the consequent loss of workplace benefits like annual leave and sick-leave? As freelancers with skills in demand, some thrive in this environment , jumping from project to project, contract to contract. They are happy to foresake the working conditions won by generations of trade union campaigning. Others do not thrive in the casualised workforce with its job insecurity and financial uncertainty. They are the ‘precariat’, a new term invented to describe the financially insecure, the casual, part-time and short-term contract workers. Behind this is a neoliberal agenda I first encountered in the 1970s on reading an article by someone promoting the idea. I don’t recall the author, however he looked forward to the day when working people would would each be their own business contracting their services to companies. Businesses would shift costs like training, holiday and sick pay to individual workers who would also be responsible for their own insurance now covered by workers’ compensation, as well as superannuation, and who would supply their own tools and equipment. To some extent this is how things have developed in subsequent decades. Uber is a good example, a model of platform capitalism that owns no vehicles and regards its drivers not as employees but as individual contractor drivers. Designing landscapes is important but designing solutions to everyday problems and fears is more relevant to more people. The precariat exists somewhere in the nether region between the remnants of the industrial working class and the bottom portion of the middle class, itself in process of shrinkage thanks to the growth of casual employment rather than fulltime or regular work, as well as workplace automation, platform capitalism and to other economic stressors. This will be a real issue for permaculture and the affordability of its courses, for options to adopt a retrosuburban way of life and its future relevance. The economic and social class analysis needed to discuss these trends is largely missing in permaculture, with its focus on the local and small scale. A local focus is good, the local is where we make things happen, after all. But focus too much on the local and you fail to address those broader things that determine what it is you can do locally. Localism by itself does not fix big problems, a food sovereignty advocate once told me. To do that local actions must be closely linked into a network of local actions elsewhere and coordinated as a program. The theory and practice of localism gained strength with the appearance of the Transition Towns movement in the first decade of the century. Questions of economics and social class are the social matrix in which permaculture practitioners exist. They define the opportunities available to permaculture educators and practitioners and they define their limits . If permaculture, the design system, does not address questions of economics, social class and working life, it could be taken that David’s “small subset of Australians who already are actively seeking a downshifting path” and who have the “psychological reserves and comfort not to be struggling” are a socially privileged class. David himself suggests this, yet not all in the permaculture milieu are on a middle class income. Many have little by way of personal financial reserves. Nor are all in the property-owning class, a reality that sits at odds with permaculture’s focus on the home as the centre of settled life and the future of the retrosuburban idea. I have long said that permaculture would do well to shift part of its attention to thinking about and offering potential solutions to the challenges that are the main concerns for people in everyday life. Designing landscapes is important but designing solutions to everyday problems and fears is more relevant to more people. How credible are David’s solutions? While writing this article it occurred to me that Retrosuburbia is reminiscent of Keith and Irene Smith’s 1990 book, Hard Times Handbook. The Smiths, some Australian readers will recall, launched the popular and long-running Earth Garden magazine in the 1970s. The magazine fed the imaginations and know-how of those in the ‘alternative’ movement in country and city and popularised organic gardening, owner building and home crafts, all of which were later adopted by permaculture. Much of what David writes is predicated on his belief that a severe financial crisis is likely over the short to medium term. He mentions like-minded economist, Nicole Foss, as being influential in his thinking and with whom he did a national speaking tour some years ago. We know from the 2008 global financial crisis that downturns can happen with little warning. Some people recognise the warning trends but they are largely ignored. David is likely to be one of those and it would be interesting to know what others in the permaculture milieu think of his warnings (let’s hear what you think in the comments after the article). Financial security is a hot topic in Australian society and is used and abused by those seeking election, none of whom come up with much that is universally beneficial. Thus they contribute to the substantial loss of public trust in politicians and in government in general. By abandoning social wellbeing and equity as a goal, government has contributed to the public’s loss of trust and confidence in it. This is harmful because it feeds and justifies the trend we see in the US, which is a rightwing and populist libertarian distust, fear, avoidance of and opposition to government. It wasn’t always this way. Not so long ago governments were paternalistic and attended to the public wellbeing. David’s take on financial security, personal and household strategies for preparing for economic hard times will surely appear counterintuitive and unworkable to some. Equally, it will make sense to those who have imbibed the core messages and values of the permaculture design system. It is the strategy of both David and Nicole Foss to relinquish or substantially reduce household debt. An aspiration with widespread appeal, fewer are in a position to act on it. People take on household debt to live in the city where their livelihood is. Compared to renting, the cost of which in cities like Sydney takes a big bite out of the weekly income, going into debt to buy a home is attractive because it builds ownership equity, a sense of personal security and a fungible asset. It is predicated on the belief, the hope, anyway that, on resale, real estate prices will have risen sufficiently to yield more than the original cost of the home. An economic downturn as foreseen by David would trash that hope. That is what happened in the US in the 2008 recession when thousands of homes went into receivership. David’s solution when facing a severe economic downturn? Sell your assets. This might work in the short term, however it limits the potential for later recovery because whatever income is available will have to go into supplying life basics of shelter, food and utilities in the absence of a productive home base. In proposing that we sell our existing homes to move into smaller houses, most probably in some other city or town or in a suburb where homes cost less, it becomes apparent that this is not an option for many. That is because they prefer to be located within short traveling time of their workplace, have an existing social networks of friends, relatives and colleagues, are engaged in studies and need to be close to their institute or because they already live in low-cost neighbourhoods. Despite carrying debt, many people like where they live because of its environmental, social and other opportunities. Selling and moving to a cheaper locale can be too disruptive. Reluctance to moving and the barriers to doing so were disclosed recently in proposals for getting aged people out of homes that are too large now that children have moved out. The idea is to make them available to families. The discussion highlighted a major block on selling: stamp duty on home purchases. Add that to the costs of moving, losing contact with people they might have known for decades and loss of local social networks, services and facilities, and moving becomes too disruptive for older people. This is something retrosuburbia advocates might address, and not only by suggesting those aged residents take in boarders. Having new people living in the home where daily life has a long-established pattern could be too much of a challenge and too disruptive for many aged people. The other option David raises to selling, moving and buying a house to eliminate or reduce debt is selling and renting. Renting in the big cities is expensive and requires a regular and sufficiently high income although house sharing can relieve costs to some extent, though it might not be an attractive option for families. There is a cultural barrier here. Selling and moving goes against social and economic aspirations such as the traditional value we place on home ownership. Cultural attitudes are hard to change. For those with funds, David recommends buying property with utility value because it offers greater security that buying for resale value. Utility value in the city might include proximity to public transport, to medical facilities and to urban commercial centres and services as well as a backyard in which vegetables can be grown and chooks kept for eggs. In the country, utility value might include a source of fresh water, arable land, a patch of forest from which fuelwood can be collected and, as fuel prices rise, proximity to a town with its services. Buying the neighbouring property and renting it out is a means of leveraging your existing resilient home and is another of David’s proposals. 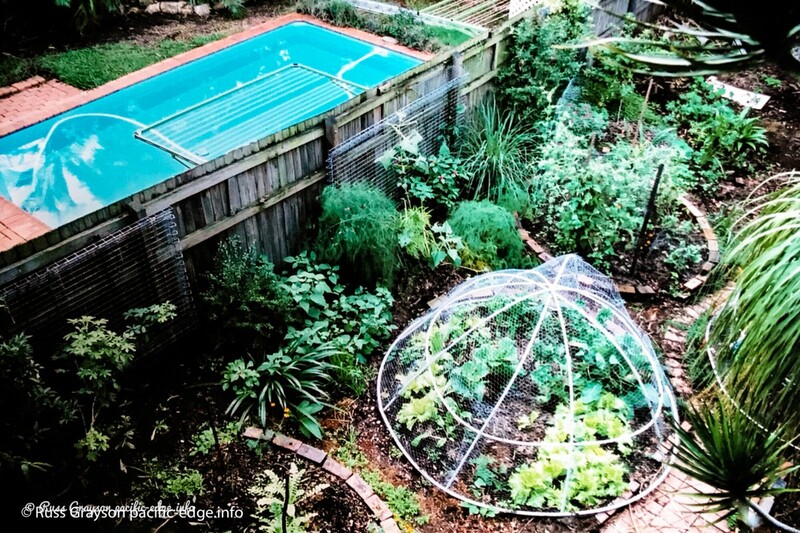 In this suburban Brisbane garden, householders have turned lawn into a productive food garden. Projects like this would be part of urban retrosuburbanisation. Australia was cushioned from the full impact of the 2008 global financial crisis by the value of the resources sector. That might not be the case in a future crisis. If that happens, then some of those barriers to selling and moving might disappear. Still, people might lose their superannuation, David writes, and could lose much of what they own. That reduces their capacity to acquire property of utilitarian value and move. It reduces their capacity to do much at all. It is better to downshift and make our move towards resilient living with resources behind us than to be forced into the move limited by too-few resources. Financial crises are poor times to sell and good times for those with capital to buy at bargain prices. This implies those prepared to move from higher-value real estate areas to lower-value, such as moving from cities to rural towns, may have enough from sale of city property to buy a rural home outright and get their resilient home system started. The barrier here would still be as it is now: how do people find work in the skills they possess? David’s solution in any crisis, as well as for those making the move while there is no crisis, is to focus on basic needs provision and behavioural change. For the household this means providing basic needs as independently as possible: food, water, shelter, medical care, energy. To this we might add livelihood. We already know how to do these things and many Australians have done them for years. For those in remote areas, for decades. When permaculture came along it adopted and popularised those ideas because they offered greater resource security to households and greater personal independence from energy and water utilities and the supermarkets. Their adoption was stimulated by changes in the natural environment and the technium (technology as a whole-system as defined by digital systems pioneer, Kevin Kelly). The drought of 2007 pushed water harvesting further into the social mainstream and the number of households harvesting and storing rainwater in tanks boomed, partly because some local or state governments subsidised their installation. Now, with accelerating energy costs, the 15 percent of Australian homes with solar panels in 2015 has increased to 23.2 percent of all households, to 1.65 million installations as of February 2017. Rooftop photovoltaic systems and the arrival just a few years ago of home batteries capable of supplying a househild’s energy needs other than cooking (unless an induction stove is used) allow an at-least partial disconnection from the grid. Add to this home and community food gardens and solar hot water, and the opportunity which computers brought of working from home rather than commuting, and we have a demonstration of how ideas once-fringe become legitimised and accepted. The adoption of these technologies and the behavioural changes that accompany them demonstrates how science and research-and-development of photovoltaic, battery, computing and other hi-tech systems is important to making our suburbs, cities and towns more resilient to unanticipated and unwanted economic and environmental change. Although technophobes and those who prefer a Nineteenth Century way of life might disagree, these things are a boon to retrosuburban living. There is a lesson in the adoption of these technologies and associated behavioural change over the past couple decades for advocates of renewable energy systems and sustainable design and technology. That is to move fast in responding creatively to changing socio/environmental/political circumstances. To respond rapidly and creatively with real solutions that are affordable and practical requires monitoring those social, environmental and political systems and, for permaculutre’s innovators, for prototyping technologies, design solutions and ideas. Yet, there is no organisation, no think-tank in the permaculture movement filling that function and developing responses. David advises that a future that is resilient to economic downturn would see high demand for essential, non-perishable, low-volume, high-value goods. He mentions a local man in his region buying up bicycle tubes and parts because he believes bicycle transport would become more common in an economic downturn. This is investment in durables for which demand is likely to increase rather than in riskier company shares or other conventional economic instruments. Even without looking to reselling, holding a stock of parts and other goods purchased while they are plentiful and affordable is good practice. At the household level, and assuming the household is not an apartment without access to land, investment of capital and time in establishing and maintaining fruit trees, soil fertility and other biological resources is something he recommends. Likewise, installing a substantial water storage capacity might be a wise move. I would add solar hot water and photovoltaic systems. ‘Skilling-up’ is a term popularised by the Transition Towns movement. It has long been a feature of permaculture practice. In David’s economic scenario it would provide necessary skills to partial self-provisioning. Reskilling has traditionally been the work of local permaculture associations. In Randwick, in Sydney’s Eastern Suburbs, a prototyping of permaculture ideas in local government brought reskilling to local people through the Randwick Sustainability Hub initiative. As a prototype, the Hub’s program is something that could be replicated by local government elsewhere in preparing people for hard times. As David writes, skills are portable but fixed assets like home and land can be taken from you. The idea of investing in learning useful new skills runs parallel to the notion of investing less in unneeded stuff. Connection, cooperation and collaboration are properties championed in permaculture. According to David, they are as important as personal property. These are motivating practices however no family, no intentional community has succeeded in providing completely for itself. That would be even more so in coping with a severe economic downturn because access to capital would be very limited or non-existent. This suggests that coping with economic and social stress is best tackled as a community endeavor. That might be a geographical community such as a neighborhood or intentional community or it might be a dispersed community. Such is the intention of an organisation in Balmain, in Sydney’s Inner West, seeking to set up both a residential co-housing development as well as a mutual support community of people living dispersed in the local area. 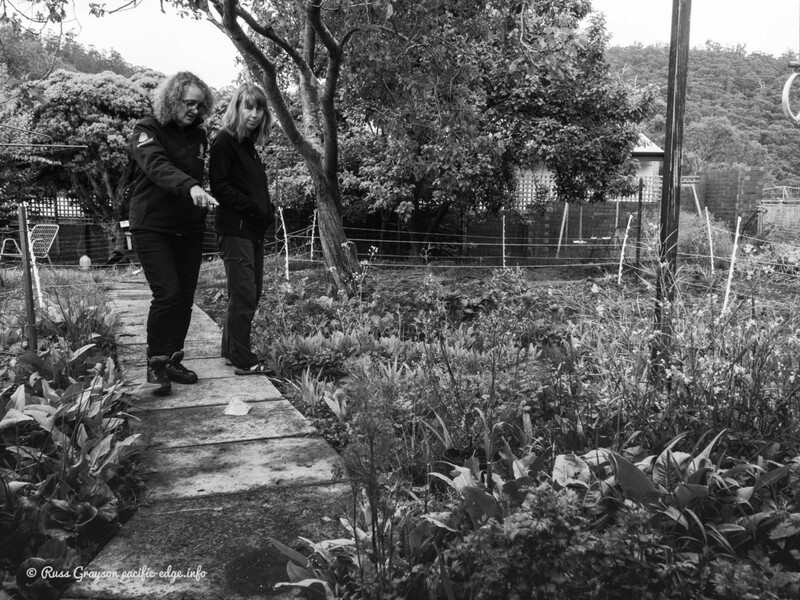 Food advocate and organics industry veteran, Catriona Macmillan (left), shows local government sustainability educator and permaculture educator, Fiona Campbell, around a Hobart household in which the backyard has been converted into a retrosuburbia-style food garden complete with a large chook run. Whatever level of self-provision is achievable, it is better accomplished as a group rather than a family or individual. That was the finding of journalist, Nick Rosen’s investigation of off-grid living in the UK around 2007 which he reported in his book, How To Live Off-Grid. Retrosuburbia focuses on detached housing and its occupants in the suburbs of cities and towns in south-east Australia. The focus is not the densely-occupied inner urban core and nor is it finding community-based solutions. Yet, it is in community action that many shared solutions will be found and implemented. One example of community-based solutions David briefly discusses is the social credit system known as LETS — Local Exchange and Trading Systems. LETS enables local, cashless trading and is more manageable now that the system has been computerised. 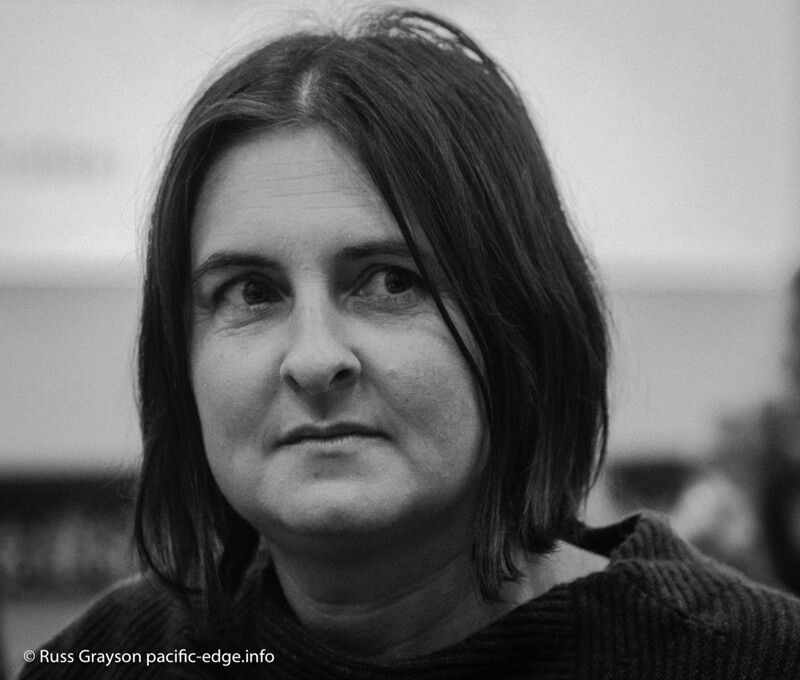 Community Exchange Systems Australia and online systems developer and LETS trainer, Annette Loudon, had much to so do with this. Community Exchange Systems Australia’s Annette Loudon, LETS facilitator and trainer. LETS was launched in Australia by its Canadian instigator, Michael Linton, in the late 1980s when he was based at Randwick Community Centre. It was quickly taken up by permaculture and became part of the Permaculture Design Certificate course. David anticipates criticism for not focusing on community as well as individual households. I think the book could have paid more attention to shared solutions as did the Transition Towns movement at its peak close to a decade ago. 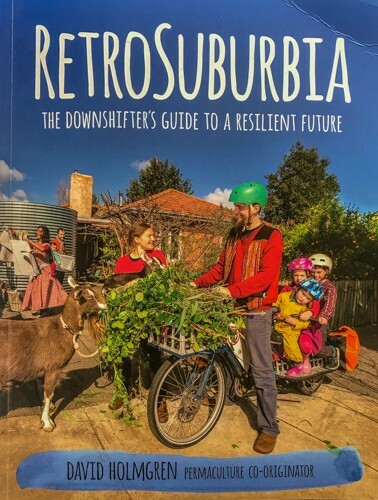 Both retrosuburbia and Transition Towns are reinterpretations of permaculture ideas, however it is Transition Towns’ social and community focus that sets it apart from retrosuburbia. You can put only so much into a single book, however. Brenna Quinlan drew the colourful illustrations for David’s book. In comparing what are mainstream and alternative strategies, her graphic on page 433 raises questions about the retrosuburban approach to social equity and other topics. This is not Brenna’s doing. It is the result of whatever process David and his team employed to devise and discuss the ideas in the graphic. I don’t want to read too much into a graphic because it is not nuanced in any conversation that might have taken place in devising it, however it is there and it represents retrosuburban ideas. My concern is that some of those ideas are predicated on land and home ownership, having plenty of time available and the presence of a significant number of like-minded people. On reading, I got the impression that the relevant assets are common in what appears to be a substantial number of people attuned to permaculture and sustainable/resilient living in the author’s region. The Hepburn region appears to have a high clustering coefficient for those people, as network theorists would say. We could say the same for the Maleny and Nimbin regions. If this is true, it makes the area something of a socio-cutural enclave in which many aspirations, ideas and practices are shared in common. That creates a critical mass, a groundswell, from which collaboration and the networking of ideas becomes possible. The graphic is worthy of consideration and of asking how its ideas could eventuate. Some already exist. The buy-new-versus-fixing element in the graphic is an increasingly popular sentiment now that the extent of society’s waste problems are better known. Solutions like Sydney’s Reverse Garbage and The Bower, a fix-and-resell enterprise in Marrickville in Sydney’s Inner West, and fix-it cafes are evidence of that. The graphic’s note on transport presumes people will commute less. At the present time that is contrary to the lengthy commutes many suburban people face. Seeking affordable home ownership they settle in new suburbs on the urban fringe. That necessitates lengthy commutes for work, recreation and socialising. High real estate prices make it difficult to relocate to be close to the workplace as does the rate at which people switch jobs, job insecurity and the growth of the gig economy. Moving to rural area might reduce commute times, however that is contingent of suitable types of employment being available within reasonable travel distance. Unlike in the city, rural people acknowledge their complete dependence on the motor vehicle. Big-house-versus-free-living presumes householders really have the option to sell and move somewhere less costly. What is meant by ‘free living’ is not defined. Is it “free” in a financial sense? In resource acquisition? In a psychological sense? Is it free of fixed abode if living in a van or vehicle? University-education-versus-“school of life” leaves open the question of how people acquire a technical or specialist education. Can we not have both? Government-handouts-versus-“let us know if you need anything else” is for me the most troubling. I might be misinterpreting the intention here, however without discussion of the idea in the text, that is understandable. A Facebook post abut the graphic soon after Retrosuburbia was published drew critical comment. First, it positions the aged pension, disability support, unemployment and other government financial support as handouts rather than returns on taxation paid, which is what they have conventionally been. The term “handouts” is degrading of those living with government support and is the kind of language we hear from the rightwing commentariat. The statement removes the notion of the aged pension as a social right. Politically, the wording inadvertently allies retrosuburbia to the libertarian right. It situates social support as charity. The sentiments expressed in this element of the graphic hold great potential for generating social inequity. Were welfare and pensions (the aged pension is not welfare) to be made dependent on local willingness to provide, what people receive would vary considerably across the country. The question of criteria for assistance is also relevant and is similarly likely to be variable. The sentiments give the ‘retro’ in retrosuburbia a different and unwelcome Dickensian spin that harks back to the days of charity and social need. The idea is out of kilter with permaculture’s second ethic of caring for people and would risk alienating permaculture from political progressives. It suggests a socially-conservative stream of thought in permaculture. I don’t know whether the ideas in the graphic are the outcome of in-depth discussion or an interpretation of general sentiment among those who contributed to producing the book. They certainly need explaining in detail and being discussed among a greater number and diversity of people than those in permaculture living in a rural, like-minded cultural milieu, if that is what happened. Retrosuburbia advocates might want to think about social policy because the ideas in the graphic could well turn people away. There is little to argue with in this chapter of Retrosuburbia other than the social justice element in the graphic. There is much to agree with, such as David’s warning to beware of people spouting solutions, those who offer “altruistic, positive reasons for change, because they can be personally hedged against bad outcomes without publicly acknowledging it.” Without saying so David is getting at the necessity of skepticism. In questioning and asking for evidence, skepticism is something that should be practiced more in permaculture. I wish these ideas had greater currency in permaculture, as I wish economics in general did. It is good to find them discussed by permaculture’s leading intellectual voice. 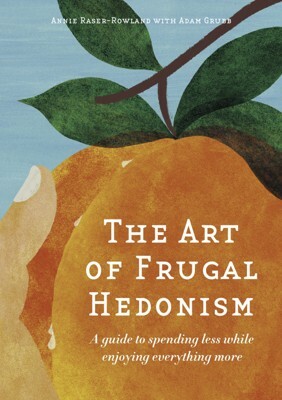 The Art of Frugal Hedonism is complementary reading to Retrosuburbia.